Winning a British Travel Award is the most sought after accolade within the travel and tourism industry and recognised as the benchmark of excellence by consumers. The British Travel Awards has achieved this status by constantly upgrading the integrity of the voting system and reaching out to a wider audience of consumer voters. In 2015 we developed bespoke software to query the voting database and flag possible voting anomalies. These reports identified a small number of incidents where companies had “sailed close to the wind” or failed to read the small print about acceptable lobbying and voting practices - their votes were adjusted accordingly following review by Deloitte. This year we have listed key points so there is no misunderstanding about how to lobby for your customer’s votes. Do lobby customers to vote for you in your elected categories. Don’t suggest in any communications that entry into the British Travel Awards Voter Prize Draw is subject to voting for your company. e.g. You cannot say; “Vote for us [company] for your chance to win a great prize”. 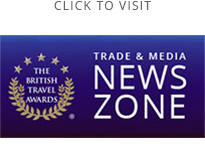 Do promote the British Travel Awards Voter Prize Draw as an incentive for consumer participation. e.g. “Vote in the British Travel Awards for your chance to win a great prize.” Don’t offer an independent prize or incentive, conditional upon or associated with, voting for a specific company or brand in the British Travel Awards. The above actions contravene the Bribery Act. Any companies that are found to disregard these rules will be disqualified, their votes excluded from the final count and their registration fee will not be refunded. Do consider becoming a Voter Prize Draw Partner and enjoy increased visibility and engagement via our media partners’ consumer promotions throughout the voting cycle. Do invite your visitors to personally vote from a common access point at your place of business. e.g. Travel agency branches, guest/visitor receptions, customer facing environments etc. Don’t engage in third party or proxy voting. The security software will flag multiple entries from a common I.P. address with predictive date/time stamp patterns. Do encourage your staff to vote. Employees are considered as consumers of leisure travel products and services. Preferably they should access the internet from their home address (i.e. not from a common IP address or company network) and register as an individual using their personal email address. Don’t advise staff to vote from their place of work. The security software will flag multiple entries from a common I.P address and additional checks actioned to validate the registration details.